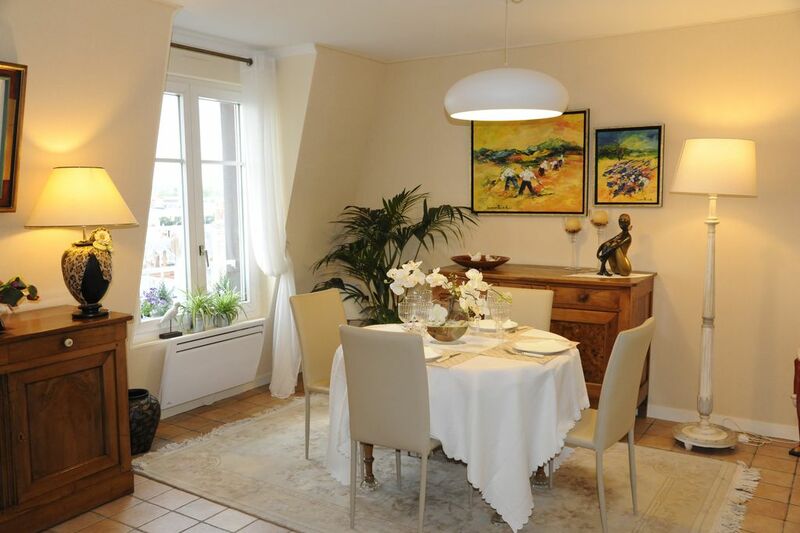 Very nice top floor apartment with beautiful view on Tours without forgetting a south facing terrace, calm. Key Pad. Elevator. View of the square with trees. Near the park of prebends, the botanical garden and near the city center 5 min by bus (bottom of the building) 15 min walk and the Vinci congress center. Beautiful living room (sofa bed for 2 people), fully equipped kitchen, bathroom 2 basins and a bedroom (bed 160), all very nicely decorated. Shops nearby. Easy parking. Bus at the foot of the building. Ideal for visiting Tours, the castles of the Loire and to discover the richness and beauty of this region they are architectural, geographical, historical, wine, under the best possible conditions. A bright, spacious apt. in a newer part of Tours. It is about a 25 minute walk to the historic centre. The owner was very gracious and helpful during our stay. We really enjoyed our visit. Merci pour votre appréciation, je suis un peu déçue de ne pas avoir eu 5 étoiles car moi même je vous ai mis 5 étoiles.